Hi there! How was your weekend? It was hopping here in PamKittyVille... I spent all day Saturday at the studio with Holly. She's got so much in store for fall Quilt Market! 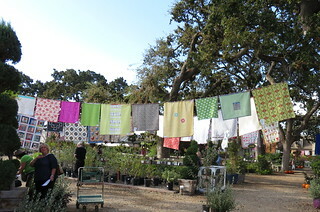 Sunday I had a chance to spend a few hours at Quilting in the Garden at Alden Lane Nursery! 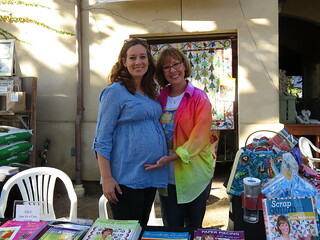 I was lucky to spend some time with my pal Alex Anderson and her lovely daughter Adair. I just don't get to see Alex enough even though we live near each other. I like going early in the morning, there's something about the quality of the light then. 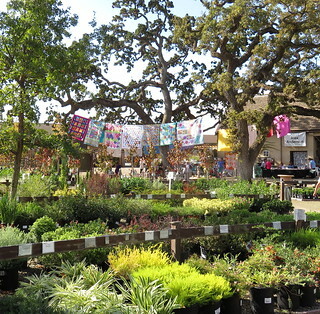 The weather couldn't have been better, although it did rain in Livermore in the late afternoon.. not much though. These two ladies were super nice, they stopped by to say hi to Alex, the mom was the quilter, she lives in Woodland, about 1 1/2 hours away and her daughter lives in Las Vegas. 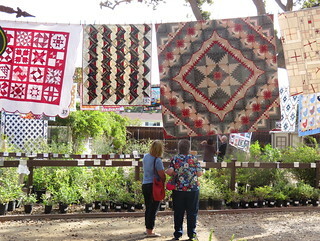 I caught them contemplating that wonderful log cabin star quilt. I really loved it too. 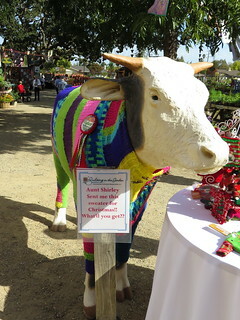 I like the thoughtful way the quilts are displayed, with an eye for color and design. 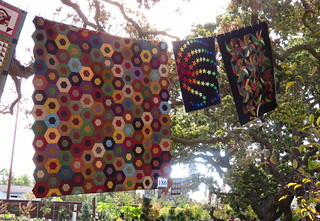 The sunshine at just the right angle illuminates the seams giving the quilts a stained glass quality. This was a very clever display of little balloons. 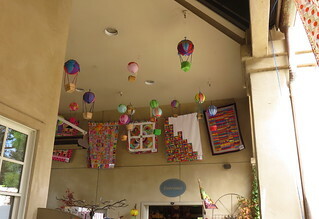 The quilts selected to go in this area coordinated with them and it was quite cheerful. 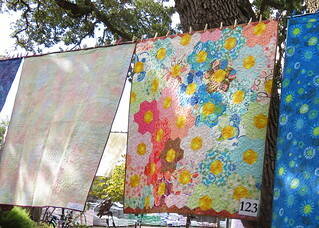 These two quilts together were so pretty, the front of one and the back of another.. Thanks for another great show Alden Lane! Next year's featured artist is Freddy Moran! That is going to be on spectacular show! If you'd like to see more people pictures, head over here.. I saw some famous people! What fun. 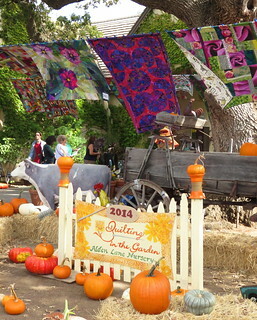 The quilts looks gorgeous. I spent my weekend getting my house back to "normal" after 3 wonderful weeks of having my baby girl home from Australia. What a great way to spend some time. So much loveliness! 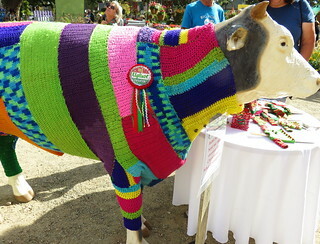 I saw Freddy Moran at the Santa Barbara quilt guild meeting a couple years ago. Bought one of her books. I'd love to go to that next year, but alas, too far away! I went to see the 75th anniversary showing of "Gone with the Wind" yesterda - at the movie theatre with my 24 year old daughter. She liked it though she won't admit it!.. LOL. 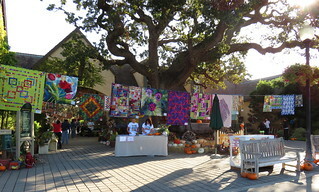 I was there on Sunday morning with my Japanese quilting friends! Too bad that we missed each other. 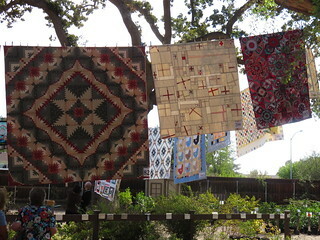 Quilting in the Garden was as beautiful as every year. 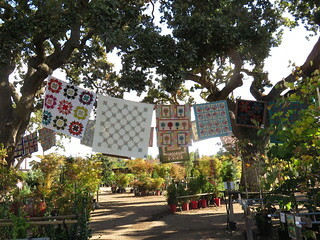 I really enjoyed wonderful quilts and pretty flowers. I bought some apples there and they are delicious! Are you going to PIQF? Oh how fun! 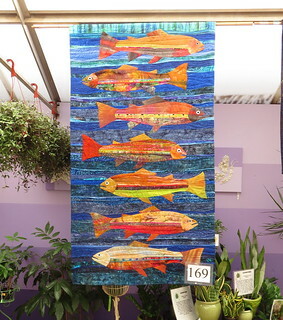 It looks like an amazing quilt show! 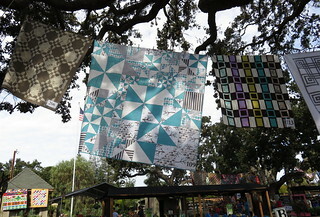 Thanks for sharing your photos of the beautiful quilts. I know you had a great time! ok! Its on my calendar for next year....and maybe even get into a class. I wanted to let you know that I am running behind on your block, but will get it sent as soon as possible! Such a lovely set of photographs, and what a wonderful day out. I want to step into the photograph and spend the day there! You are so very lucky. We have nothing like this in England. I love all the pumpkins there too!